Ladies, can you believe we're on the last week of this series already?!?! I can't! I've really enjoyed hearing what you've thought each week -whether you've left a comment on the blog or our facebook or instagram page, sent me an email or sent me a photo of your inspiration verse screensaver - and I know there are quite a few women out there who have really felt encouraged by what they've read or have decided they really needed to let The Lord back into their lives and I am absolutely overwhelmed with happiness. This SIL Sister's in Christ series will definitely be continuing and I'm deciding on what we should look at next so if you have anything you'd like to see, let me know! But let's finish this series in style - this week we're looking at how we can serve The Lord - but it's not all about being a part of a ministry or knocking door to door - there's a different approach you should be taking, so let's have a look at what how we can truly serve The Lord! Philippians 1:21 is one of my favourite verses because I believe it shows how we should all feel as Christians. We were all dead in our sins - but our Almighty and loving God gave us LIFE through Christ. Because of His great love for us, our merciful God made us alive in Christ - even though we betrayed Him. We have been saved through grace, not through anything that we've done ourselves. In the verse above, Paul is explaining how he lives for Christ - and when he dies, that is a true blessing because it's then that he'll finally be with His saviour. As it says in Ephesians 2:6 "God raised us up with Christ and seated us with Him in the heavenly realms in Christ Jesus". God saved our lives, my friends. If someone saved your life here on earth - say, pulled you out from a burning building or stopped you moments before you were hit by a bus - you'd want to do anything for them in return, right? God saves our lives over and over and over and OVER again! 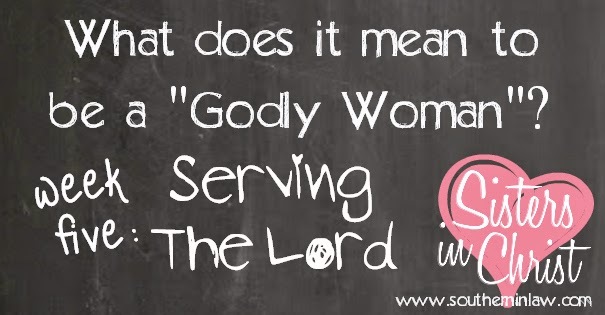 So what does serving God really mean? When the Bible talks about how we should serve God, it's talking about how our entire lives, including how we live and what we think, say or do, should be an act of service to God. It's talking about the essence of serving - not an action. "Do not offer any part of yourself to sin as an instrument of wickedness, but rather offer yourselves to God as those who have been brought from death to life; and offer every part of yourself to Him as an instrument of righteousness". What he's telling us here is that our entire life should serve God (thus we should offer every part of ourselves). That is because our lives belong to our Lord and Saviour, Jesus Christ. It might surprise you, but God isn't interested in your attendance record at church, how much you read the Bible, how much you give to your church, what ministries you're a part of or how many church events you go to - what God is interested in is your heart. for in these I delight"
God delights in our passion to know Him. Many Christians believe that serving is all about the action of serving - bringing morning tea, attending church events, being involved in certain ministries, helping in the community - but many of these Christians are not truly serving God. Why? Because they're living to serve and not living for God. Somewhere along the way, they took their eyes off Jesus and started focusing on service alone. Jesus isn't as important to them as their service - they're just going through the motions. The joy of seeking to know and love God is no longer as important... and that breaks my heart. True service comes from the overflow of love that comes from a personal relationship with Jesus. God wants our service to flow from His love and our love for Him. As Jesus was telling Peter in John 21:15-17, love comes before service. "Therefore, I urge you, brothers and sisters, in view of God's mercy, to offer your bodies as a living sacrifice, holy and pleasing to God - this is your true and proper worship"
God wants us to use our entire lives to serve Him. Jesus presented Himself as a living sacrifice in order to forgive our sins and Romans 12:1-2 calls us to sacrifice ourselves for Him too. I know what you're thinking... "Kristy, you're telling me serving God actually means loving Him and giving myself to Him as a living sacrifice - but every Sunday I'm being asked to sign up for this or do that to 'Serve The Lord' so what am I supposed to do?!" Serve Him, not them - that's what you're supposed to do. As Christians, we are called to be ambassadors for Christ (see 2 Corinthians 5:20) to spread the "Good News" and share His love with others and you should be doing that - but that doesn't necessarily mean helping out in a soup kitchen. Whatever it is you do, you need to look at the heart behind your efforts - your heart. Are you doing it for His glory or are you doing something because you feel you need to or have to. I help out with our Children's Ministry Program and am a Youth Group Leader - but I do those things because I genuinely love helping others discover more about Jesus. When I see how relieved my youth group kids are when they find out that regardless of what they do, Jesus will always love them, I am thrilled - when I have them come to me telling me about an answered prayer or how they told someone about Jesus, my heart swells with joy. With our Children's Ministry, I'm more of a helper - I'm there to help the program run smoothly so that the family's can have an enjoyable time and want to join us to find out more about Jesus - but I love being there. I love developing a relationship with the Mums and their kids - sharing His love through my actions. I'm also a part of our church's welcoming team - solely because I know how it feels to be a newcomer and I want to make sure any new person walking through our church's doors feels welcomes and comfortable so that they can hear the Good News for themselves and act on it. It's about loving others so that they too can love Him. I would encourage you, wholeheartedly, to get involved with ministries that you're passionate about - so don't think I'm telling you this means you should help out with your church at all. But whatever you choose to do, remember that you should be serving The Lord with your entire life - not just your involvement with ministries. Serving The Lord could be as simple as loving your enemies - not gossiping and being hateful towards someone who wronged you - or it could be something more routine, like using your musical talents to bring joy to your church on a Sunday by being a part of the band. It's all about living for Christ - because it's He who gave us life!